The afternoon session looks to be a quiet one for the penny stock of Premier Brands Inc. (BRND) as most traders already in the Bad Boy will be tuned in to the Company’ webinar. Focused on getting as much info as possible from the “Bad Boy Vodka Open House” which is set to be hosted by President and CEO of the beverage distribtor, Jorge Olson, traders really want to know if BRND stock is worth more than 0.0175. With an NT-10Q filed, eliminating the chance of getting any more current details other than those from the period ended February 28, how much of a slam dunk could this deal really be, or is it just another drag-dressed penny which is due to fade into the shadows of the OTC? No one can deny the run that the once spam-touted beverage distributor, Premier Brands, has had since the words Dennis Rodman became attached to BRND stock. It took just 3 trading sessions for the realization to kick in and for 1,695% gains to be added to those who threw a couple hundred bucks at the idea that a run with the bulls from a former Bulls player could ironically be such a sweet alley-oop. What would really be bullish would be to see what happened for the 3 months ended May 31, 2013. Did sales beat last quarter’s $130,448 and how much was added to the $279,773 that Premier Brands booked for the 6 months ended February 28? 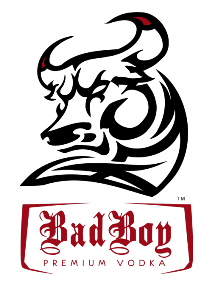 We know Bad Boy Vodka is brand new and sales haven’t yet begun to get booked, but with a loss on operations of only ($398,625) for the 6 months ended, is there a chance that profitability may be in the not-so-distant future? The bottom line has been cooked with some creative accounting measures adopted for how convertible debt instruments are reported on the income statement. Regardless of that, you throw a bull logo on a vodka endorsed by a former Bull who was also a world champion and one of the few to ever walk in and out of North Korea freely and what you are bound to get is a bull penny stock in BRND. The underlying question is how much bull is going to be released in the late Q filing which may or may not send BRND stock back into subpenny land. Premier Brands, Inc. is a consumer goods incubator in the business of creating, acquiring and marketing consumer packaged goods, primarily beverages and nutraceuticals. Click here to view the website for Premier Brands. The webinar starts at 2PM and, like we saw last year when BBDA had their live update, shares in a beverage focused penny stock like BRND could go ballistic soon after. The lack of activity today shows that BRND stock is going to have a pop, regardless of which direction, as soon as the webinar ends making Friday a huge volume day. Last updated by Timothy Richards at July 25, 2013 .